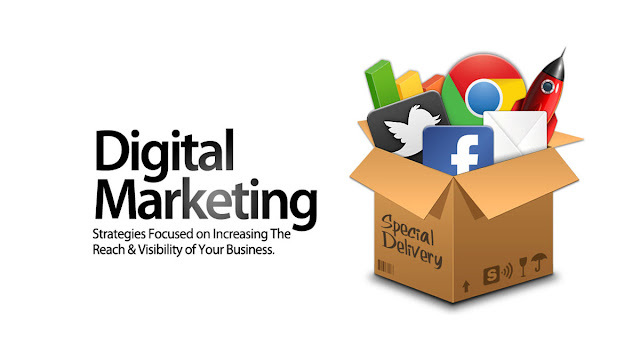 Digital marketing is a type of marketing in which people can do marketing of products or services online, mainly online but also including other digital mediums like display advertising. Every day new businesses start across the world with more teams and its getting very difficult to keep your team connected. Whether you are a big company or a small setup with a few members, effective communication is one of the most important things in running a successful business. Without good communication, you cannot achieve your goals. On that point, you need a good conference call service, you have to find the right one at the right price which provides you good conference call services. Finding the right service at the right price is the key, we do our research and find out some best conference call services for business, so you don't have to do anything big. Take a look at our research and choose the right service your business communications needs. Choosing a conference call service is a very important step, it's making an impact on business communication and has an important role in the success of a business, first, you have to decide you choose free services or paid. Free conference call services are commonly being used in the business world normally for simple check-in meetings and interviews. Free services are a great choice for the type of business who can't use conference call services on everyday business but rarely use them for quick interviews or for communication with remote employers. However, sometimes they have low video and audio quality making hard to communicate. Paid conference call services are designed for those who need effective communication on an everyday basis. In paid services, the quality of audio and video is slightly better and have more features making easy to communicate and manage your team. Once you decided to get a free or paid conference call services, you need to understand what makes a good conference call service. You have to consider Audio and Video quality, Connectivity, Feature catalog, Customer support, Software integrations, Setup, Device compatibility. You have to make sure that these factors line up with your company needs either they are free or paid. When you understand what is a good conference call service, then its time to decide which service will work for you and fulfill your communication needs. Here we have a list of 10 best conference call services for you. First seven services are paid conference call services and last three are free Conference call service options. Let's check them. Zoom is an easy to use and reliable software which makes conference calls as easy as sending a link to someone via email. Zoom comes with very helpful features which bring your team together. Zoom offers one of the best and affordable conference call services. Some reviewers complained that the audio quality of zoom is not perfect but despite the audio quality, Zoom has some other great features like Great Video Resolution, Broad functionality, and affordable rates. 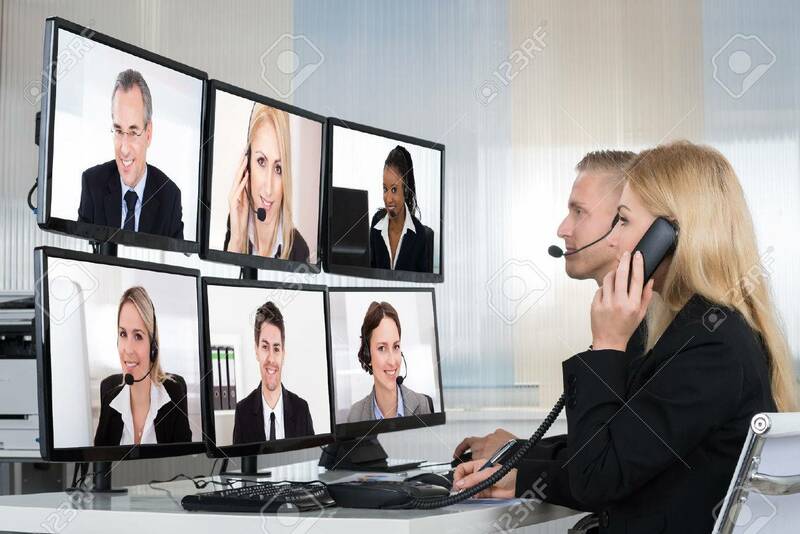 If you are looking for a recognizable name in conference calls than you have to look for GoToMeeting. GoToMeeting is a very reliable source of conference calling with years of experience. Since 1997, GoToMeeting users hosting about 80 million meetings every year. GoToMeeting has limited advanced features, you can't share videos, take polls etc. Good things in GoToMeeting are its high-quality audio and video, Reliability and Easy to use interface. Lifesize make conference calling more good with helpful features, secure line, and an award-winning app. Lifesize is trusted by the likes of Netflix, eBay, LinkedIn, Yelp and Major league baseball. Lifesize has many good things like 1080px video and HD audio, Integrates with Skype for business, Avaya etc but also has an Unsophisticated chat function. Lifesize have 24/7 customer support so if any problems come you can solve them immediately. Webex is a feature-rich software with high-quality audio and video and easy setup. Webex is a good choice as conference calling service for your business. Webex has one issue that is occasional bandwidth issues. UberConference is an easy to use conferencing calling platform. There is no complexity, just need to make a link, send it and you are set up with a meeting. Uber conference has a free version for up to 10 users. Uber conference struggle with working with all browsers. Users reviews show that using uber conference with browsers except google chrome like internet explorer causes issues. The main purpose of conference calling is communication and you can't do it without good quality audio. Blue jeans have an awesome audio technology powered by Dolby Voice. Blue Jeans have an amazing audio quality, time-saving features and using Blue Jeans you are also able to integrate apps like Microsoft teams, Facebook Workplace etc. Reviews show that Blue Jeans had connectivity issues when not up to date, So, make sure you had always up to date version. It's not necessary to have a customizable conference call system but Join.me offers it which others don't offer. Using Join.me you can get tailored URL for each meeting also you are able to customize the meeting background. Join.me app for iOS and Android device works good, but desktop functionality not good. Skype is a powerful communication tool. You might hear about skype if you ever video chatted with someone. Skype is a free conference calling service with solid audio and video quality but the free package supports few conferences calling participants. Google Hangouts perform well as a free alternative of paid conference calling services. Google Hangouts have an automatic leg up on any competition because of its compatibility with Gmail and Google calendars. Google Hangouts provides HD video calling services and has easy to use chat. FreeConferenceCall.com as its name shows that its a free conference call service. They provide the usual audio and video quality, screen sharing, recording and drawing tools. FreeConferenceCall.com provides limited advanced options. As a free conference call service, FreeConferenceCall.com is pretty good service. Udemy is an online learning and teaching website with millions of student, also there are a lot of teachers, which makes courses and sell them on Udemy. 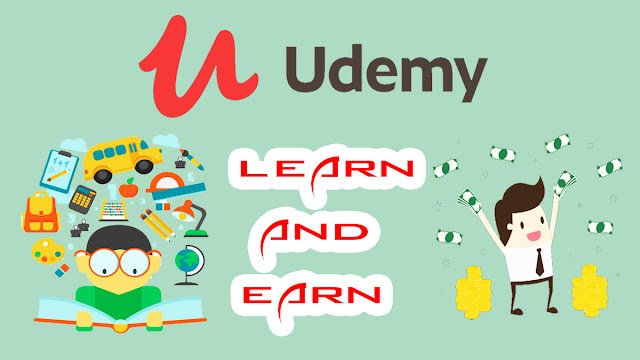 Udemy is a marketplace where you can learn anything, there are a lot of courses on udemy from which you can get valuable knowledge, and there are many Instructors who make a lot of money from Udemy. If you want to learn something, you can learn it form udemy. On Udemy some courses are free but most of the courses are paid. You can also use coupons to get courses free or at a low price. Many times there are sales on Udemy, so you can get courses at cheap prices and can learn a lot. Overall udemy is a very good source to learn something. If you a are a teacher or you have some knowledge, make courses and sell them at Udemy. Upload your courses, tell people about your course and If your courses are valuable than you then get good ratings, which increases your sales. Udemy also promotes your courses. Many peoples in Pakistan, India and all over the world making a lot of money from Udemy. You can also be one of them. So if have some knowledge. Starts making courses and sell them on Udemy. Now in December 2018, almost every person has a camera and mobile so everyone can create videos, make images. We in our daily life make a lot of images and videos and this is the reason that now in many court cases videos are given as evidence in court. If a Case running in court and videos are given as evidence then these videos will get tested in a lab that they are original or fake then the lab gives the results about videos and case will move forward on the base of lab decision. Do you ever think that in Lab what process was done through which they check that the video presented is fake or original? If we talk about video editing in past, where editing is very difficult, when for editing a little part of the video many hours used and video editing word is connected to Hollywood movies but if we talk about video editing in today than we see then today video editing is easy, many free and easily downloadable algorithms are available that can run on a normal computer, that algorithms get face details and swap faces. I am talking about Deep Fakes which was recently very popular and if you can give this algorithm two videos with two different faces than this algorithm automatically change faces of both persons. That seems like a weird thing when we think about it, because in past, it was not normally available as it is now, this is the reason today video forensics get very important, because many face swap type algorithms are available in the market so there are many chances that the presented video is also fake, So how they check that the video is real or fake. The first and most useable technique is seeing, First of all they see the video clearly, watch every area and every part of video to see that is there something looking weird, or some different because when someone doing normal video editing the area which is edited, pixels are not exactly matching and if some new video editor do video editing then we also see difference in edges, so they get to know that this video was fake and was original. Humans eyes are working in a limit at that condition but If a good level video editor do editing then its difficult for the human eye to see the edited area. 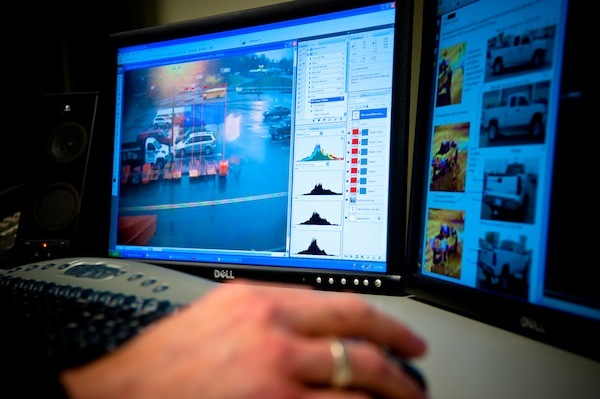 In that conditions, computers were used, basically, in computers, there are algorithms that see every pixel of the image and if on some point they see the difference they understand that this image is edited. If you talk about the camera than two adjacent pixels are not too different and when this is implemented on videos than frames from videos were check that the video is original or fake. The second technique is a very interesting technique because In this technique compares algorithms were used. When someone used video or audio editing software then after editing when software saves the image then that image was saved in a specific format and normally left his footprint with the image. If someone edits a photo in adobe photoshop then there are many chances that in the code of photo somewhere fingerprints of adobe photoshop is present. When a normal eye sees that image, then the images look real not edited but when you see about compereshan elements of the image you know that through which software this photo was edited. It's easy to find that image is edited when someone edits them with a popular software or algorithm but when a low known software or custom algorithm was used then this technique is not fully worked because its very difficult to know about every software, normally only popular software are tested. When they can't know that in which software image is edited, they ask a question that this video is edited or raw, they asked this because in courts normally evidences videos come directly from CCTV cameras or mobile phones, so when they see in the coding of video then they clearly know that the video is edited from which device because every image sensor when record a video or image, record it in a specific way and almost all camera's normally used in market, footprints are different. When they know that the image or video is created from which device than they get assured that the image or video is edited or not because when someone edits an image or video its footprint from the device from which it was created were not remain. When this technique gets failed they take help from physics and science and using them they see the direction of lights in image or video, If on somewhere light direction is different from other points then they get know that on that point image was edited. 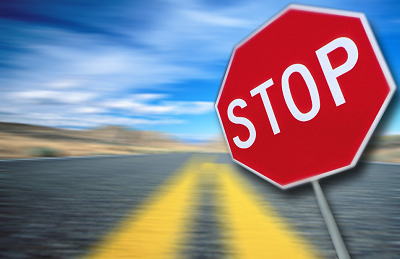 In below Video, You will see how to stop a car when brakes fail. 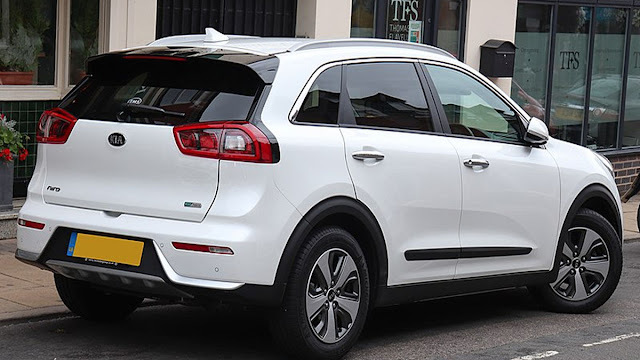 If you are in an unfortunate condition that your car brakes don't work, You will use these steps to get out of that unfortunate condition and to stop your car. It is very important to take your car to a safe location once you stopped it completely. Don't try to drive again when you realized that brakes have failed (until you get it to fix). Are you a graphic designer, web developer, UI designer or having any other skill and want to start your own freelance career, So you come in the right place because, in this post, I will give you some Important tips, which will help you a lot in starting your own freelancing career. First of all before starting a freelance career, you must know that you have to work full time or part time, If you want to work full time that its good because then you can directly meet client, you can do maximum projects in short time but if you want to do freelancing in part-time than you have to be very careful about your time management, so then it will not effect on your full-time work. If you want to start freelancing as a full-time job but due to a reason you can't get success and then you want to do a job then there's become a big difference in your job experience and you might face some difficulties to get a job. If you want to start freelancing as a full-time job or part job time job than you can,t get success so quickly, because there are so many developers and designers already doing freelancing. So you have to give yourself almost 2 to 3 years timeframe to see how much good your freelance job doing. In the start, you might get good results and then you face breakdown or may be in starting you can't do very well and then you will get good work and results. So for staying in freelancing market you first have to give your 2 to 3 years to freelancing career. So, If you finally decide to start freelancing than you first have to answer these questions. First Questions is how much you need to earn each month? So, If you can't work full time then still you and your family get no financial problems. The second question is what time of freelancing work you want to start? like logo design, T-shirt design, Brochures, Photo editing, web page design, UI/UX design, 3d animation etc. The third question is what kind of client you want to work with? A local business, An IT Company, Startup, Organization, Lawyers, builders etc. The fourth and most Important question is, Can you take criticism? Criticism means if your work gets rejected or your proposal gets rejected then you can't give up. You know that today in almost every field there is so much competition so, if the client doesn't like your work and reject your work then you can't give up and leave freelancing due to that. The fifth question is, Can you work under pressure/stress? Sometimes your client need work done within one day or two days and already you have so many works to do. So how you deal this matter, can you properly work under pressure, So you have to plan these things and then come in freelancing. The sixth question is, Do you have a backup plan? If a client can,t pay in time or any other problem happen than can you have enough amount to survive, do you have any backup plan. It's also very important to create a backup plan. The seventh and last question is, Do you have good communications skills, Can you convey your message properly to your client, can you understand client requirement, It might happen that when you can't understand client requirement you have to do same work again and again. So you have answers to these questions, If you want to start freelancing business or freelancing. So, If you have answers of all questions and you decide that you have to start freelancing than the first point is how you brand your yourself, because already in the IT field there is so competition, So can you different from these all, so for this you have to brand yourself, You can do branding with your portfolio, you have to make a website where you show your portfolio, portfolio means what kind of work you can do, either its logo design, photo editing or whatever. So, its necessary that you have a portfolio website, which client will see and give you work according to your portfolio, Along with your portfolio website its also important to make your portfolio on other websites, if you are a web designer then you can also make your portfolio on websites like behance.net or dribble.com and you can also take reference from these websites. It's also an important step when you starting your freelance career. Also, it's important that you carry your visiting card everytime you go somewhere in which all details are written which you can give to your clients and in visiting card make sure all important details are mention. Through visiting card you can also get work. So its also important before you starting freelancing. Now when the brand was made, portfolios were uploaded now how to start, so your first client is maybe is someone in your family, your uncle, your relative etc. Whenever you worked for someone it will add to your portfolio, and you can also show that work to your client. You can also work something for your friends for free and they will refer you to others so you will get work. So it's important to see around yourself that is there someone who can help you in growing your business. Next will be behance.net or some other website as I earlier mention that you can also upload your portfolio on behance.net. so, from behane.net you can also get some clients, also you have you to make your account on linkedin.com because from linkedin.com you can also get many clients you are interested to give you a freelance job. Upwork.com and fivver.com are also very important websites for freelancing. So Important is that you have to register and make portfolio as many websites as you can, you can also directly approach small NGOs to get some work from them. This will also help you in making your portfolio. 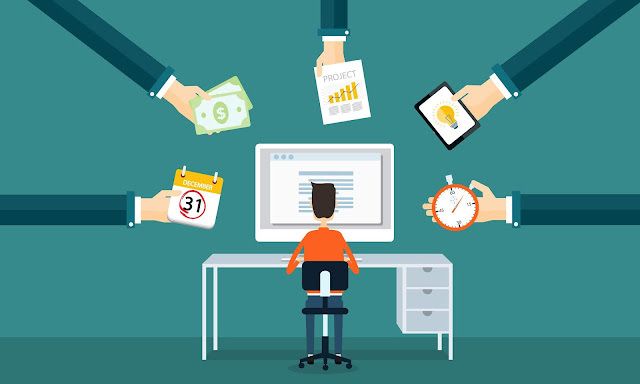 Every source is very Important for starting a freelance career so give importance to every source. Next thing is networking, means in IT industry how many peoples you know and how many peoples knows you, so if any meetup will occur, try to go for it, network peoples, give them your visiting card, talk to them, make new friends, tell peoples about your work and tell him if they have any work related to your field than they tell you. In this way, if you make a network than surely you get good results and there are many chances that you get a lot of work. So, they are some important things that you have to keep in mind, when you do freelancing, through this way you can start your freelancing career. You will see many times that someone your relative or friend etc that is linked to an Insurance company, trying to motivate you for insurance and for making your mind to do insurance they are telling you some interesting facts and stories. For example, They asked you first that your business was running so good but do you think what if you come to home from office and you get died by an accident and many more these types are stories they telling peoples to convince them for doing insurance. These peoples with their few minutes of speech make a happy person forced to think about insurance. These peoples with their some minute speech make a healthy people died and covered by white cover etc. These peoples with their speech forced normal people to think about Insurance seriously. So, what is Insurance, First we need to talk about insurance? 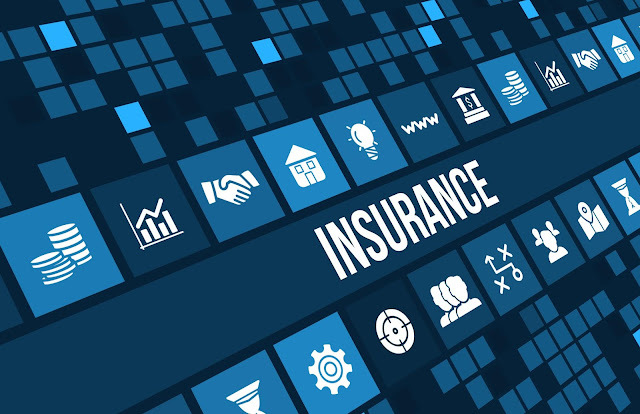 Basically, Insurance is like a contract with two peoples, In which one person which is Insurance company assures his client, That if they get some financial loss or something physical harm etc than they will pay them and for that other person, which do insurance will pay a specific amount of money. That contract is called Insurance Policy. Insurance of a car is called car insurance and insurance of life is called life insurance. Insurance was first introduced by business men of Greece and Rome. When businessmen send their products to another country or city by ship then if their products don't reach their destination then shipping company will pay them to get out of this loss. If the insurance contract is according to Islamic policy then its called kafaalat and kafaalat or takaful has special importance in Islam. Now, most of the companies in Pakistan doesn't follow Islamic rules. If a company do insurance with Islamic policy than its all right because in Islam takaful was liked. Many Islamic scholars have different ideas about insurance. In Pakistan, some Islamic scholars called state life insurance, insurance, and takaful right and some said it is wrong and don't follow Islamic rules. So, Whenever you decide to do insurance, then contact some real and senior Islamic scholar and ask them about your company policy, that its follow Islam or not because of some banks in Pakistan also Islamic insurance policies or takaful.